[SatNews] The two satellites in the joint Herschel-Planck mission were part of one of the most complex scientific projects ever carried out in Europe. 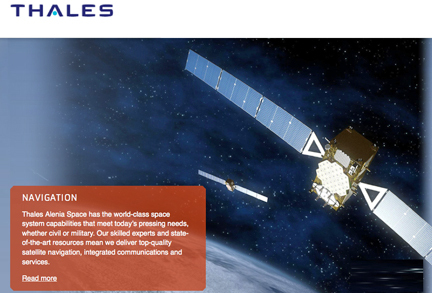 Thales Alenia Space has announced that their Herschel-Planck program has won the gold medal award at the 28th world congress of the IPMA* (Interational Project Management Association), during the official awards ceremony that occurred in Rotterdam. 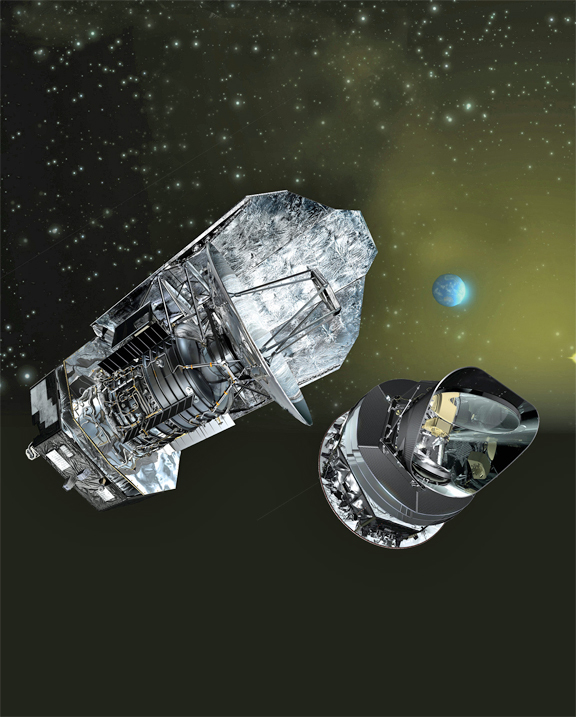 Artistic rendition of the Herschel and Planck satellites. As prime contractor of the dual Herschel-Planck mission for the European Space Agency (ESA), Thales Alenia Space was competing in the Mega-Sized Projects category, the most important of the three IPMA categories. The IPMA organizes this global competition recognizing the efficiency and excellence of project management in all industry sectors. Moreover, Jean Michel Reix, Herschel Planck project manager for Thales Alenia Space, was awarded Silver Medal in the Manager of the Year category. Launched on May 14, 2009, the two satellites in the joint Herschel-Planck mission were part of one of the most complex scientific projects ever carried out in Europe. The Planck satellite's impressive achievement was to take "photos" of the Universe to better understand how it was formed, plus the phenomena underlying matter and black energy. The Herschel spacecraft enabled scientists to analyze and better understand the life of stars, galaxies and other large structures in the Universe. Exceeding their expected lifespans, the two high-tech jewels Herschel and Planck provided huge volumes of data for scientific and astronomic research, and it will take many more years to process all this data. The IPMA award is the latest international distinction for Herschel-Plank, and clear recognition for Thales Alenia Space's program team. IPMA's evaluation focuses on the project management per se, the results achieved by the program team and industry partners, how all those involved were able to capitalize on their experience, and above all the innovative approaches to project management. In this case, Thales Alenia Space managed an industry consortium comprising more than one hundred companies and laboratories from around the world. Before making their decision, the IPMA assessors visited Thales Alenia Space's Cannes plant in July, to speak directly with the main actors in the program, the customer (ESA) and the main partners, as well as the heads of the different company entities involved in constructing the spacecraft and managing the program (program and production departments, satellite AIT, finance, Quality, purchasing, etc.). They also interviewed several scientists who were the recipients of this data. In other words, a panoramic evaluation which clearly established Herschel-Planck as the outstanding program in its category.